Trodat Printy 4850/4L with four itnterchangeable messages: RECEIVED, PAID, FAXED and EMAILED. The stamp has an impression size of 5/32" x 7/8" (4 mm x 23 mm) and RECEIVED prints in blue. The 4850/4L is a climate-neutral prodcut made with maximum possible amount of recycled plastic, and an investment in climate protection projects. Running low on ink? 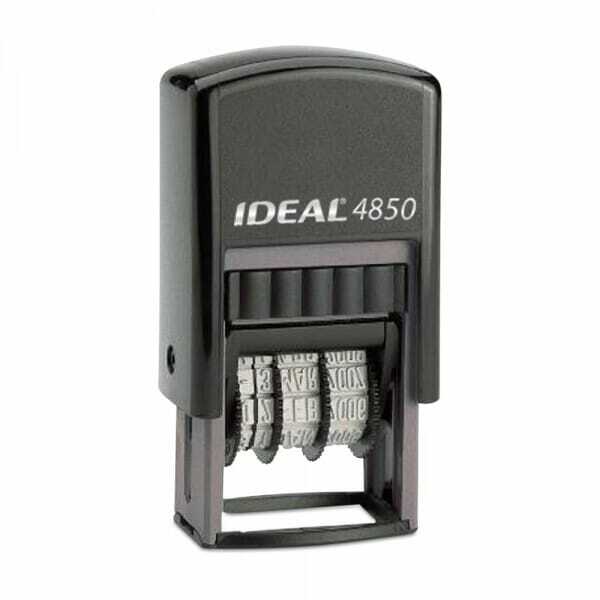 To further extend the life of your self-inking stamp, use replacement ink cartridge 6/4850/2. Customer evaluation "Trodat Printy Mini Dater 4850/4L - RECEIVED, PAID, FAXED, EMAILED"